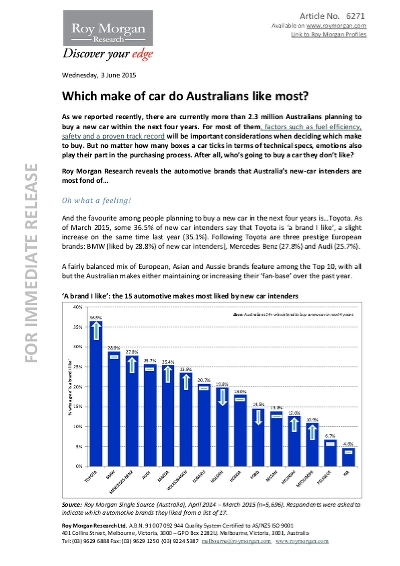 Roy Morgan Research published a ranking of automotive brands Australia's new-car intenders are most fond of. Technical specs are important considerations in deciding which car brand to buy. But emotions also play an important part in the purchasing process of new-car intenders. After all, who's going to buy a car they don't like?